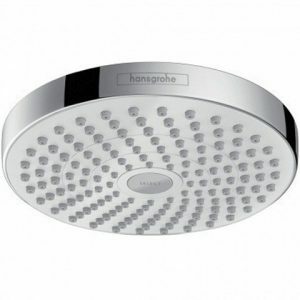 Hansgrohe Croma Select S Multi Semipipe 27249400 wit-chroom, EcoSmart 9 l/m, met thermostaat. Hansgrohe Croma Select S Multi Semipipe 27247400 wit-chroom, SemiPipe, met thermostaat. 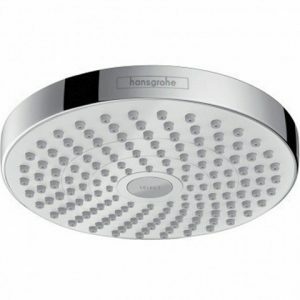 Hansgrohe Croma Select E Multi Semipipe 27248400 wit-chroom, met thermostaat. 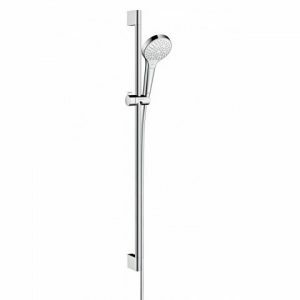 Hansgrohe Croma Select S 180 Showerpipe 27351400 wit-chroom, 2 jet, voor bad, met thermostaat. Hansgrohe Croma Select E Vario doucheset 26586400 wit-chroom, stang 65, met Casetta zeepschaal. 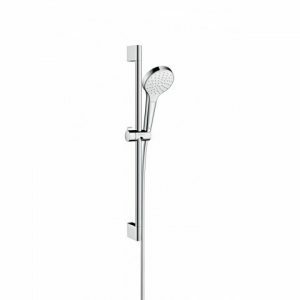 Hansgrohe Croma Select S Vario doucheset 26566400 wit chroom, stang 65, met Casetta zeepschaal. 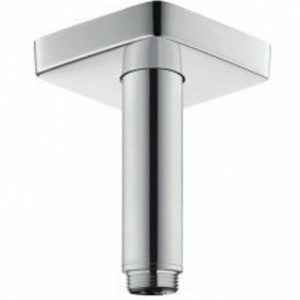 Hansgrohe plafondaansluiting E 27467000 chroom, rozet, DN 15, G 1/2, lengte 100 mm. Hansgrohe Croma Select E Multi Semipipe 27259400 wit chroom, EcoSmart 9 l/m, met thermostaat. 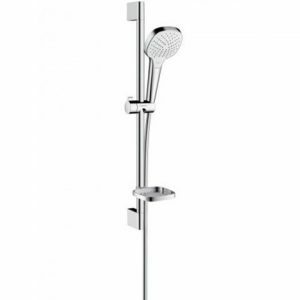 Hansgrohe Croma Select S 1jet doucheset 26565400 EcoSmart, wit-chroom, 65 cm douchestang. 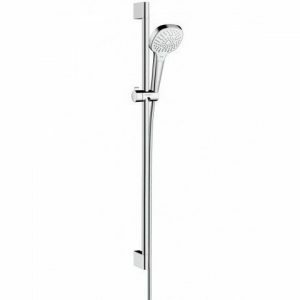 Hansgrohe Croma Select S 1jet doucheset 26574400 wit-chroom, 90 cm douchestang Unica Croma. Hansgrohe Croma Select S Multi doucheset 26570400 wit-chroom, 90 cm douchestang Unica Croma. 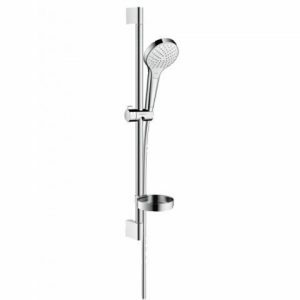 Hansgrohe Croma Select S Combi doucheset 27014400 wit-chroom, 90 cm Shower Set. Hansgrohe Croma Select S 1jet badset 26410400 wit-chroom, 160 cm flexibel Isiflex. 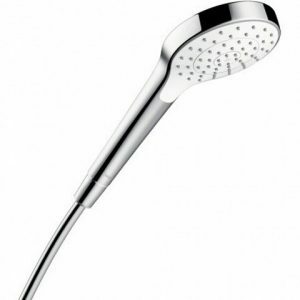 Hansgrohe Croma Select S 1jet doucheset 26564400 wit-chroom, 65 cm douchestang Unica Croma. 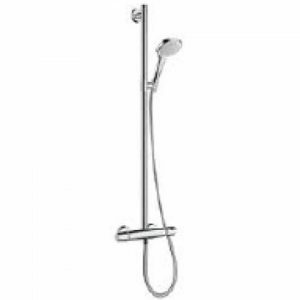 Hansgrohe Croma Select S Multi doucheset 26560400 wit-chroom, 65 cm douchestang Unica Croma. 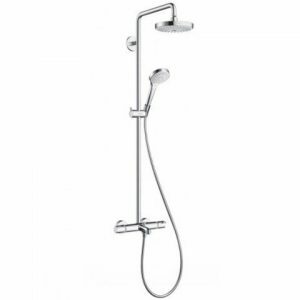 Hansgrohe Croma Select E 1jet doucheset 26585400 EcoSmart, wit-chroom, 65 cm douchestang. 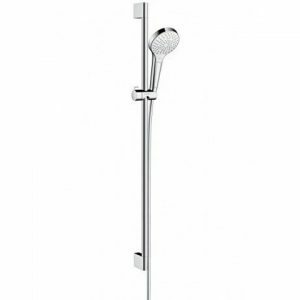 Hansgrohe Croma Select E Multi douche Set 26580400 wit chroom, met 65 cm douchestang Unica Croma. 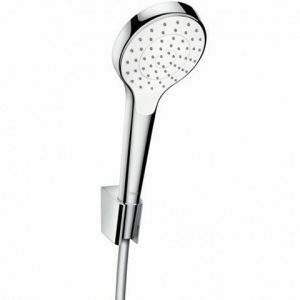 Hansgrohe Croma Select S 180 hoofdsproeier 26523000 2 jet, EcoSmart 9 l, chroom. Hansgrohe Croma Select S Multi doucheset 26561400 EcoSmart, wit-chroom, 65 cm douchestang. Hansgrohe Croma Select S 1jet handsproeier 26805400 wit chroom, EcoSmart 9 l, DN15, hoofddouche Ø110mm. Hansgrohe Croma Select S 180 hoofdsproeier 26523400 2 jet, EcoSmart 9 l, wit/chroom. Hansgrohe Croma Select S 180 hoofdsproeier 26522400 2 jet, wit/chroom. Hansgrohe Croma Select S Vario doucheset 26563400 EcoSmart, wit-chroom, 90 cm douchestang. 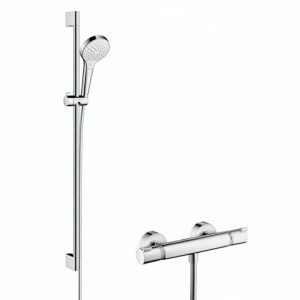 Hansgrohe Croma Select E 1jet doucheset 26584400 wit-chroom, 65 cm douchestang Unica Croma.